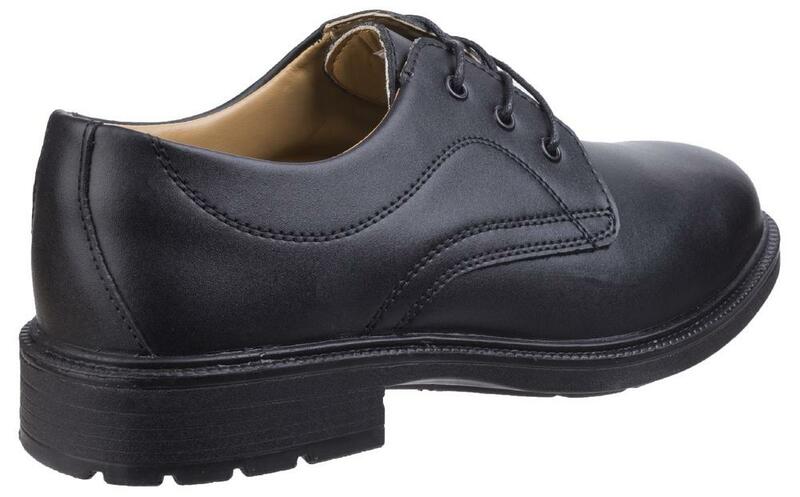 Formal safety shoes ideal for industrial office wear and uniform use. Mono-black, plain front shoe crafted with a smooth leather upper. 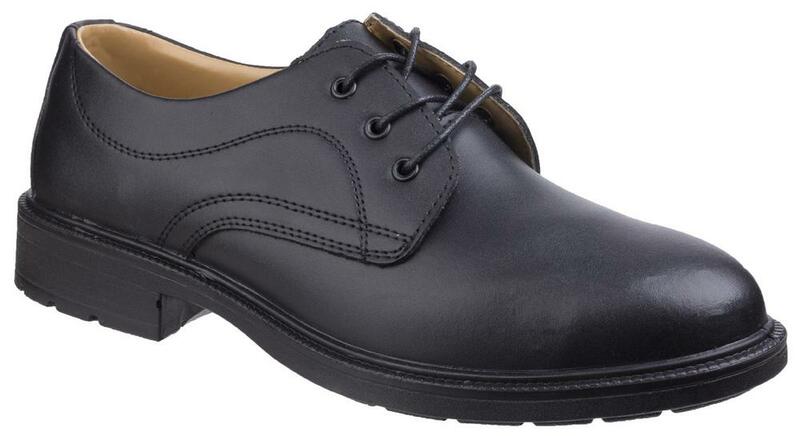 Amblers FS45 Executive Safety Shoe conforms to: EN ISO 20345 S1 SRC.